Online Shopping has become one of the most preferable shopping methods ever since the internet took over our lives. It has altered the tradition of shopping in ways that are more convenient and pleasing to us. There are endless advantages of online shopping, that is why e-stores or online shopping stores are a fast-growing business today. So, let's have a look at some of the benefits which compel people to shop online more often. Convenience: The best thing about online shopping! You can shop online at any time of the day. No need to get out of your pajamas, no need to wait in lines, and definitely no need to rush down to the store before the closing time. Online stores are open 24/7 so you can order whenever you like and receive the item/s within a few hours or days depending upon your location. Discount Offers: Online stores often allow you to use discount coupons which can be utilized at checkout. These discount coupons have amazing discount offers or free shipping on them which often cuts down your bill to half the amount! Apart from that, online stores offers discount deals on different occassion on which you may get up to 50% off on your favorite products. More Variety: The choices available online are just spectacular. You can find several different brands and products under a single roof (or a web address like http://www.pakstyle.pk). Also, you can shop from anywhere in the world while sitting in your comfy armchair at home. No more geographical limitations. No Crowds: If you have been to the market before Eid-ul-Fitr, Eid-ul-Adha or other festivals, you know what we mean by 'CROWDS'. Things tend to be more topsy-turvy when there are more crowds and we are forced to buy something that we donï¿½t even want! Aunties pushing and shoving elbows in your guts, smelly sweaty people bumping into you, parking issues, and everything else that you absolutely detest about crowds can be easily escaped by shopping online! No Pressure: We all feel awkward when an eager salesperson follows us around and pressurizes us to buy things we don't want. You don't have to put up with that anymore. When you are shopping online, you and you only, are in charge of your shopping experience. Sending Gifts was Never This Easy: No matter where your relatives and friends are, sending gifts to them is a matter of a click now. 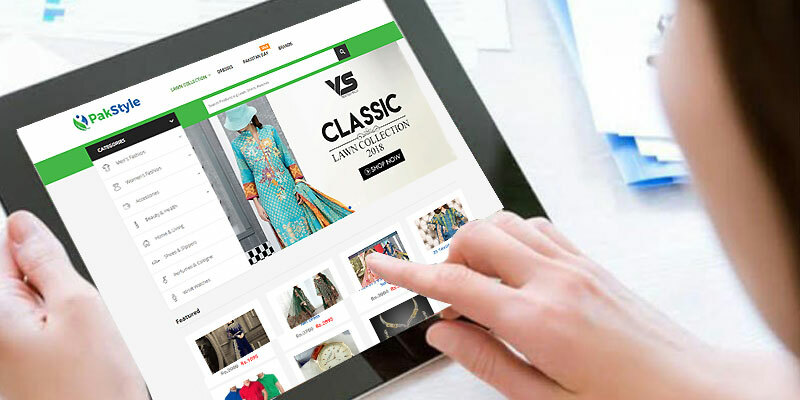 To fully enjoy your experience of Online Shopping in Pakistan, remember to make sure that you from shop at a well-reputed e-store like PakStyle.pk that has received good reviews from its customers. Also do read about their return and refund policy to see if you are happy with their terms.